I had a sudden onset of intense pain in my left knee 2 weeks ago and have not been able to bear weight since. I've had an x-ray and there is no bone injury. I'm awaiting MRI results. I'm not able to walk without crutches as the pain is unbearable. It feels like everything behind my kneecap is unstable. I am also feeling a clicking sensation at the top of the knee. I have pre-ventricular beats, started approximately 20 years ago. I got worked up at that time with echogram and a Holter monitor. I was placed on Cardizem which took care of it right away. About a year ago the palpitations started again. The change in my life was the change in the medication. I was taking Cardizem brand name but since switch to that lots of trouble. I wonder if the change in the medication could be the problem. The palpitations are driving me crazy, don't know what to do. Back and forth with the cardiologist's, and placed on a beta block and it is not working. I did all the cardiac work up. If the medication does not work he is thinking of cardiac frequency ablation. In 2005 I was diagnosed with stage 4 cancer in the base of tongue, which had spread to lymph nodes in the neck. I had a lot of radiation, 8 weeks 5 times a week and 2 doses of chemotherapy. At 5 years I was declared cancer free, yeah. Well I was just diagnosed with cancer on one side of my throat, early detection. I think I cannot have any more radiation, but I did beat stage 4 and this has not spread, so I am hopeful after doing some reading up, wish me luck. I will do whatever I have to in order to beat it. I never did put my weight all back on, I was 215 lb., a body builder, and I now weigh 155. A few months ago I had palpitations and was sent by my doctor to the hospital. I had lots of tests. A young student lady doctor stood watching the doctor and suddenly said, 'that is a tick' and pointed to my chest. Nobody has blamed the tick even though the doctor said as he was digging it out, that it was still alive, but he removed it. Now I am being plagued by the hospital doctor for appointments and pills, etc. Nobody mentions the tick. I have never had palpitations before and not since. Naturally I am a bit perplexed since my local general physician has sent this long letter with the offer of all sorts of pills. I am very healthy and never really visit my doctor. I am a 55 year old female, post-menopausal since age 48. I take no medications. 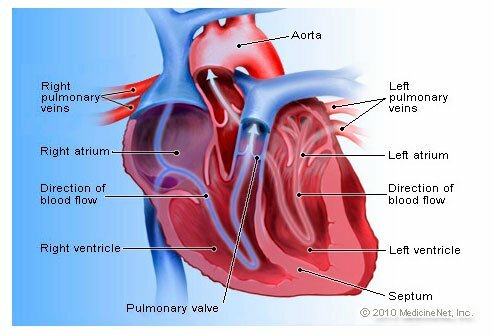 Last three years I noticed heart racing sometimes, and I figured it was due to menopause. I thought to myself, maybe I have developed high blood pressure. Sometimes I notice it feels like it is fluttering. While doing heavy gardening I had several scary episodes, felt faint, weak, weird, and legs from waist down felt very heavy as I tried to climb down terrace and make it to a chair I had sitting in my driveway. I finally went to the emergency room (ER). I had never been to the ER in my life. They kept me overnight in cardiac unit with a monitor on, and did an echocardiogram. I had tachycardia. Several nurses, as they checked my heart rate from sitting back, to sitting up and then standing, asked me if I felt dizzy as my heart rate would get higher. I told them no. They did not understand and one nurse told me I was young and since my health was good till this episode she was going to try and figure out what was going on. She never got back with me. I was really feeling nervous by this point. I had been drinking coffee during these episodes. I found out later I have mitral and tricuspid regurgitation, mild. I should not do any caffeine. Heart would pound in my head and ears when I would change position in bed and would take up to 5 to 10 minutes to calm back down. Needless to say by then I would be awake. Very frustrating. I started taking liquid ubiquinol CoQ 10, and then got a little better by the second bottle. I did research and started taking hawthorn berry tablets. I read all cardiologists in Japan have their patients on it. I got still a bit better. I then added wild salmon oil capsules, cold pressed and time released garlic capsules also. I am doing better. I started feeling well enough to start walking again. That seemed to help a lot. I still have some episodes but not as bad. When I was about 20, I started getting rapid, hard heartbeats after eating. Over 45 years, I asked every doctor I had throughout my history what could cause this disturbing symptom. I had countless heart monitors, EKGs, etc. About 2 years ago, I was getting food sensitivities and was feeling very ill. I made drastic changes all at once including cutting all gluten and dairy from my diet. From the very first day that I didn't eat gluten, I have never had the palpitation symptoms again until recently. I had added certain dairy products (hard cheese, butter) back into my diet after about a year with no repercussions. Then recently, I noticed that I started getting the same symptom (only a lot milder) after eating butter or hard cheeses. So, I cut those out and now I am back to enjoying a regular, easy heartbeat. My conclusion is that I have food sensitivities and they manifest themselves by causing rapid and hard heartbeats. I know there are others out there who have the same problem and if this posting can help someone narrow down their own symptoms to gluten or dairy I am glad I finally decided to share my discovery. Typically, gluten sensitivity does not cause symptoms like this so it's difficult for any doctor to diagnose gluten sensitivity by rapid-heartbeat symptoms. If you have this problem, try cutting gluten. Cutting gluten isn't easy as just about every processed food, in addition to bread products, has gluten. This is one thing you can try (if you too have gone years without a diagnosis) without having to worry about adverse side effects or other dangers of self-diagnosis and treatment. Forty five years is a long time to stress over something day after day after day. I'm glad it's over! I'm beginning to wonder if what my cardiologist has called atrial fibrillation (AF) is caused by anxiety. I first began to wonder this when preparing for an airline travel vacation and then after returning, thinking about my job. At both times and other AF events recently, I've recalled some feelings of tension/anxiety. I am thin, have low blood pressure and think my palpitations are associated with electrolytes and dehydration. I drink a lot of wine, and paint; they happen about once a month. I have had palpitations since I was about 8 years old. I am now 35 and still have episodes--maybe once every month or two. Mine can be induced by heavy meals or high blood pressure. Other triggers include bending down too fast or getting overheated. While it's happening, my heart rate is around 200. I feel shortness of breath, tightness in my chest, along with pain in my carotid artery, behind my eyes and in my jaw. To relieve this I try staying cool, relaxing as much as possible, and long, deep, controlled breaths. I think about slowing my heart down and it will stop as abruptly as it started. Sometimes it will start to slow down, but gets irregular. When it goes irregular it can last for hours. I do not take any medicine for it. I have had palpitations for the past 15 years. I am 78 years old. Usually, it happens after eating and lying down. I've had all the tests done and nothing shows up. I feel good otherwise. Exercise helps. I will try a lighter meal in the evening. I try to take an aspirin before supper to prevent the evening palpitations, which sometimes works. I also take a 160 mg beta blocker for head tremors that may be helpful. Stress seems to be a major problem. I don't smoke and drink only 2 cups of coffee a day. I am 46 yr old woman (BMI "Obese") and after a long period of weight gain and no exercise, I started a fitness program on my treadmill. Sometimes, even though I could still talk, just a little out of breath, and felt good at a certain pace, I would measure my pulse and it would be up to 150. I thought that was ok, but then I started to get these strong heart palpitations. Every night they would start in the early evening and last until I was finally able to fall asleep. They were very strong beats and skips of my heart. When I did some research and realized I was working out way above my target heart rate, especially for such an overweight person just starting to exercise, I stopped my workouts for two weeks. The palpitations ceased. Now I am discouraged and trying to start a new routine with a lower target heart rate. I am on treatment for high blood pressure, but I have noticed that I get heavy palpitations after I have eaten. I also get them when I go to bed to sleep. I sometimes have to get up to relieve the symptoms. I'm 54 years old and have been having palpations on and off for the last 6 years or so. They normally start when I'm in bed usually in the middle of the night which seems to make it feel worse, at times I feel like my heart is trying to beat its way out of my chest and my pulse usually increases to around 100 bpm. Thankfully they don't occur too often and I put the cause down to post menopause. I'm 17 and for many years I have had what I assume to be heart palpitations. 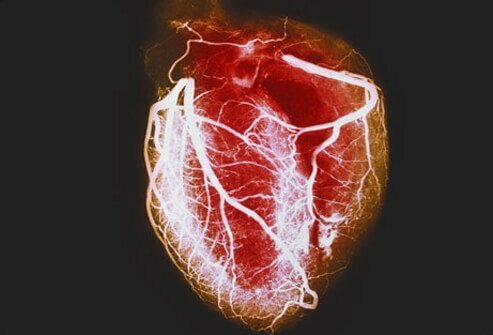 After an intense burst of exercise, such as taking off sprinting or making a tall jump, my heart will begin to beat at a rapid pace that instantly feels different from my normal heartbeat. A sensation of lightheadedness follows. The rapid heartbeat typically lasts an hour but has stopped anywhere from 15 minutes to 2 hours since starting. I have found it impossible to have it end while I am standing. A deficiency of potassium was thought to be the cause but they continued after taking supplements. I have had palpitations for 5 years, tight chest, irregular heat beats, some days I got them 2 times a day, some weeks 20 to 50 times a day. I found a cure that works within 24 hours!!! Take salmon oil or fish oil together. I promise you, it will be 95 percent effective. And almost gone. Now I get the odd one 3 times a week. The cause of my palpitation is emotional stress, worry, deep thinking and fear. I am 49 years old. Menopause since 5 years ago. I am 15 years old and I have been having palpitations for about a year now, I have spoken to a couple of people about it now, they say it's not much of a problem, but it is when you're lying down in bed trying to get to sleep and then palpitations occur, I get really fast ones and then ones that are strong and feel like my hearts actually skipping a beat. I've tried breathing exercises in the past, I'm wondering whether I should see a proper doctor. I have both tachycardia palpitations caused by POTS/postural orthostatic tachycardia syndrome and atrial fibrulations. I have been on medication in this condition for years and am having less episodes than before but they will not go away. Worse at times. Also have sleep apnea but cannot wear cpap mask as I get hives due to being atopic. Palpitations seem more frequent as I get older though not as severe on meds. I have had heart palpitations since starting meloxicam for arthritis. They claim one has nothing to do with the other. Since I am on anxiety medication, their theory is that it is all in your head until proven otherwise. My palpitations happened during my sleep. It was a very fast heart beat that woke me up. It lasted for about a minute and went away. OMG I have had all the heart palpitations happen since I was around 20 something and went to so many doctors, but like so many other people they couldn't find a problem. Then in my 40 something years a 1st year doctor told me she would find the problem and she ran a lot of blood work at different times because I didn't have these palpations all the time. Finally she sent me to the hospital to have a thyroid dye test and finally they found my thyroid was and is overactive. So, I have been on propranolol 80 mg LA for 15 years now. As with Pamela, I have suffer palpitations and shortness of breath which I am reasonably sure is, in my case, the result of stress. I would like to know the effects of alcohol on these symptoms. For the past 2 years I've had shortness of breath along with what feels and seems like my heart is skipping, which when that happens it feels as if I can't catch my breath! My cardiologist just says it's all in my head! I really feel as if it's something really wrong. Family of heart problems all around. I used to wake up sometimes with fast rapid heartbeat. Eventually, I was diagnosed with Sleep apnea. After using CPAC mask, I sleep better and do not wake up to rapid heartbeat. I just thought this little info may help to someone.